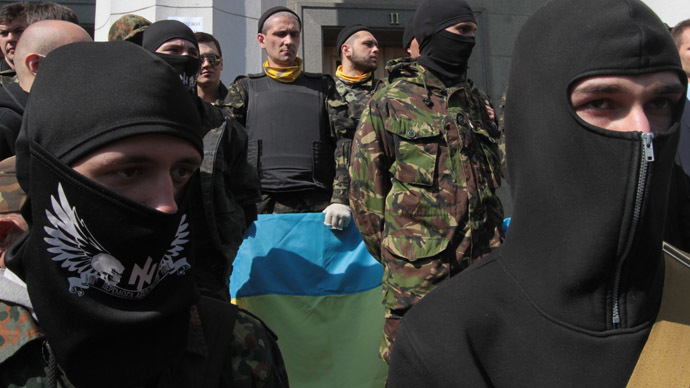 A majority party MP has asked Russian investigators to prepare an official letter to the ICC describing crimes by members of Ukrainian nationalist groups - including the infamous Right Sector - and asking they be recognized as extremist. 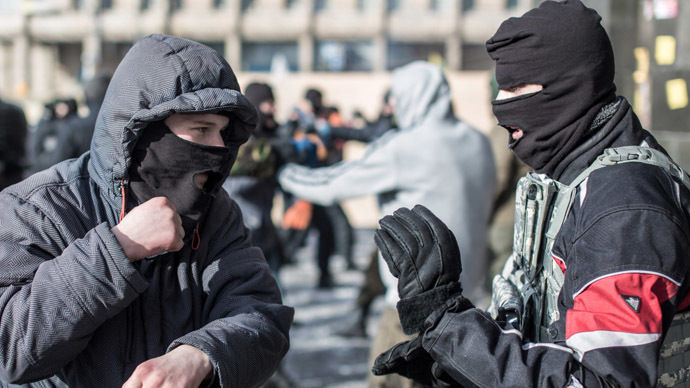 The author of the initiative, MP Mikhail Markelov (United Russia) has told Izvestia daily that both the Right Sector and another mass Ukrainian nationalist organization, UNA-UNSO, have long and rich histories of involvement in various military conflicts. These included the conflict in Chechnya, the brief war in South Ossetia and several wars in the Balkans in which Ukrainian radicals fought on various sides, such as with Croatians, Serbs and Albanians, the parliamentarian holds. Russia has already put Right Sector leader Dmitry Yarosh on its wanted over his participation in combat in Chechnya on the terrorists’ side. Another well-known member, Aleksandr Muzychko, was under investigation as well until he was killed by Ukrainian police in March this year. In 2009, Russia’s top federal law enforcement agency the Investigative Committee published a report claiming that the number of Ukrainian gunmen who fought against Russian peacekeepers and military in South Ossetia was about 200. Markelov told the newspaper that in his view this record was enough to make the International Criminal Court in The Hague issue a verdict recognizing the nationalist groups as extremist and ensuring an international status of political outcasts for them. 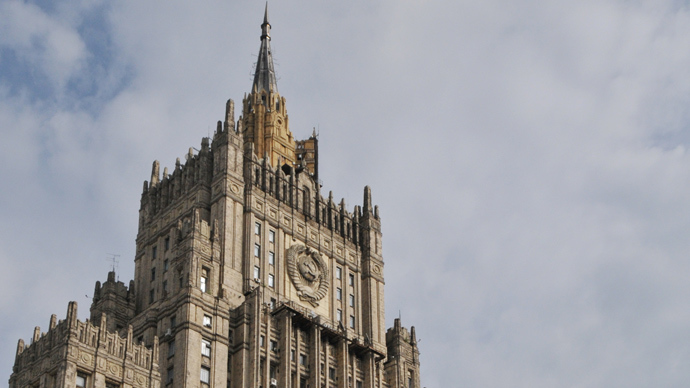 Legal expert Olga Shepeleva has noted that Markelov’s plan could face one obstacle – the International Criminal Court reserves the right not to consider requests from nations that have not ratified the Rome Statute, the treaty that established the ICC in 1998. 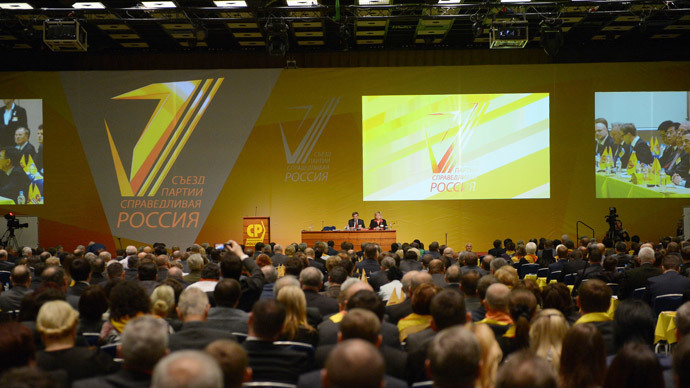 Russia has signed the statute, but has not yet ratified it. However, Ukraine is in the same situation and this fact has not prevented the new Kiev authorities from asking the ICC to investigate the violent events that preceded the current political crisis. In case of refusal, the Russian politician threatened Parubiy with a court trial. “This is a crime, but you will not be tried by The Hague Tribunal. Not even a criminal court in Moscow. The highest instance we can allow you is the military court of the Rostov Garrison,” Zhirinovsky said, apparently threatening extradition to Russia to face a court martial. 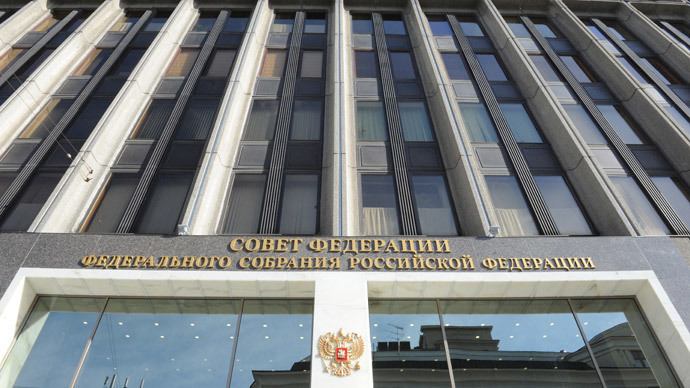 In subsequent press comments the Russian lawmaker noted that he was sure that the military garrison court in the southern Russian city of Rostov-on-Don would at some point issue life sentences to five representatives of the current Kiev regime – the acting president and prime minister, the heads of the Interior Ministry and State Security Service, and the chair of the National Defense and Security Council. “Five people makes a junta and they commit crimes as they kill Ukrainian citizens. There is no war there, but the military forces have opened fire,” Zhirinovsky said, referring to the recent clash between Ukrainian military and pro-Russian protesters at an airfield in Kramatorsk.